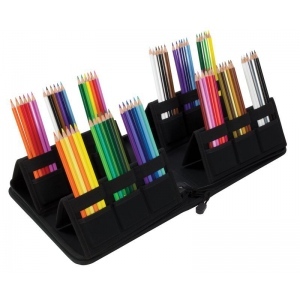 Made of durable reinforced black nylon this pop-up pencil case holds up to 48 colored pencils securely. 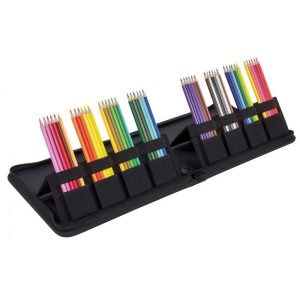 * This unique easy to transport case features inside panels that pop-up for quick access to pencils. * Your pencil tips are protected with three-sided zippered closure.